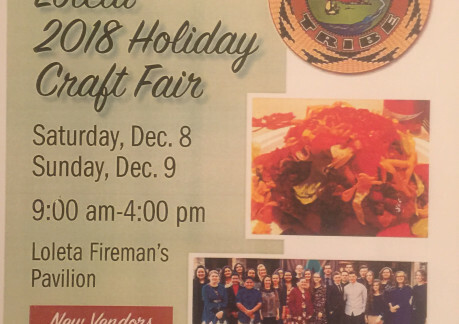 With over 60 local vendors and Indian Taco sale by the Pentecostal Church Youth Group of Eureka. Something for everyone! 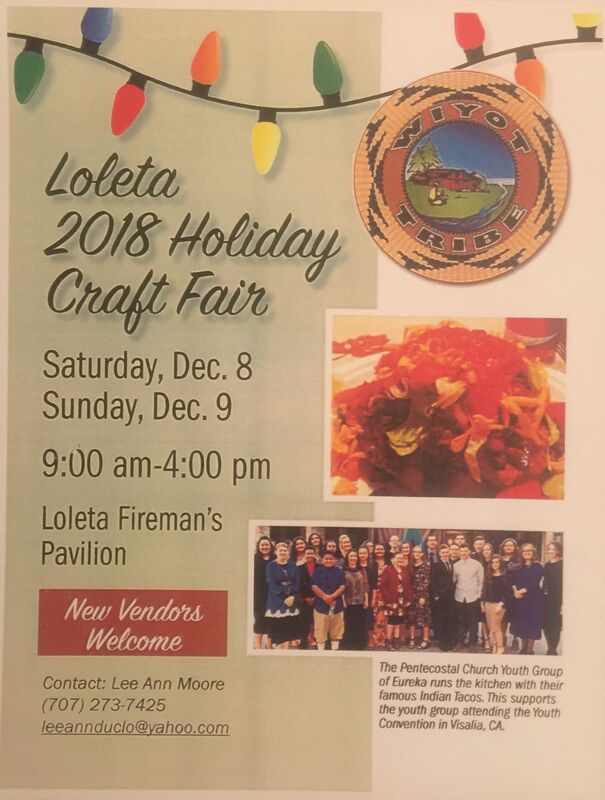 Join for us for the 13th annual holiday craft fair in Loleta at the Fireman's Pavilion. For further information, please contact Lee Ann Moore at 707-273-7425.